Cute activities to add some fun to the once-every-four-years occasion. Every four years, Feb. 29 is an "extra" day. What are some ways to spend that time? 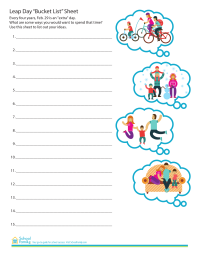 Use this sheet to encourage kids' ideas. 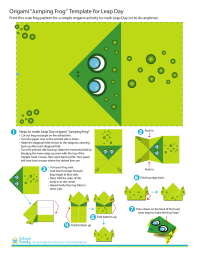 Print this cute frog pattern for a simple origami activity to mark Leap Day (or to do anytime). 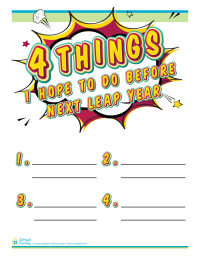 Encourage kids to think ahead with this cute sheet that asks them to list four things they hope to do before next Leap Year.